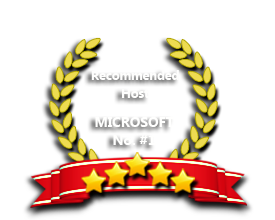 ASPHostPortal windows hosting is compatible with the phpBB 3.2.2. We offer phpBB 3.2.2 based hosting plan from just $5/month (see our Windows Shared Hosting Plan). phpBB 3.2.2 is now available in ASPHostPortal. This version is a maintenance and security release of the 3.1.x branch which fixes one content permission issue and a number of bugs, as well as adds new events as entry points for extensions to modify phpBB's behaviour. The full changelog is available in the changelog file within the docs folder contained in the release package. If you have chosen to use phpBB 3.2.2 for your forum, you can count on our unique handmade hosting solution. We will make sure that phpBB 3.2.2 runs smoothly on our servers and that your forum is safer, faster and better supported than anywhere else! Our powerfull servers are especially optimized and ensure the best phpBB 3.2.2 performance. We have best data centers on three continent, unique account isolation for security, and 24/7 proactive uptime monitoring. Our support team is extremely fast and can help you with setting up and using phpBB on your account. Our customer support will help you 24 hours a day, 7 days a week and 365 days a year. Our Windows Cloud Hosting fully supports phpBB 3.2.2 hosting. You are more than welcome to try our Free Windows Cloud Hosting before you decide to buy. You can get your Free Cloud Windows hosting account up and running within the next few minutes.